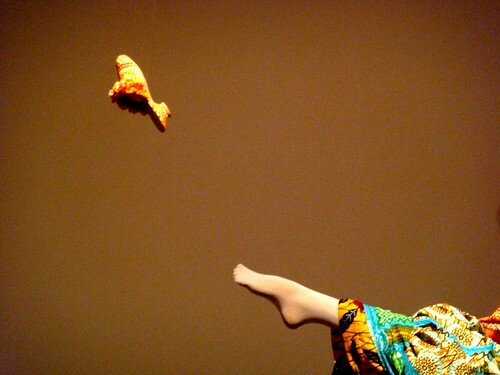 2 Comments Published by Cedric Benetti on Friday, July 17, 2009 at 7/17/2009 07:51:00 PM. 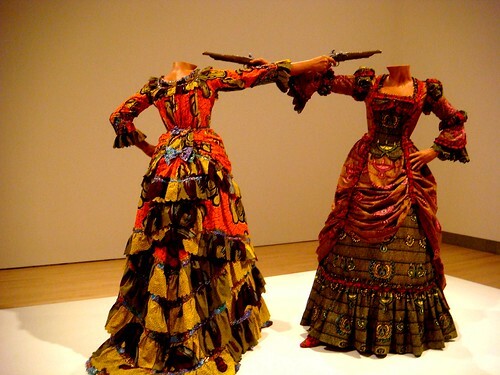 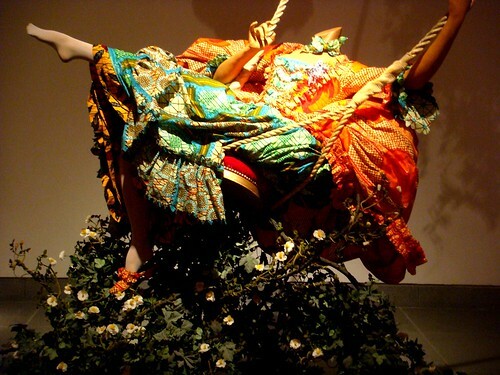 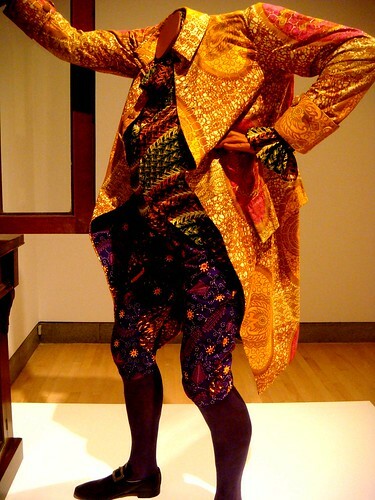 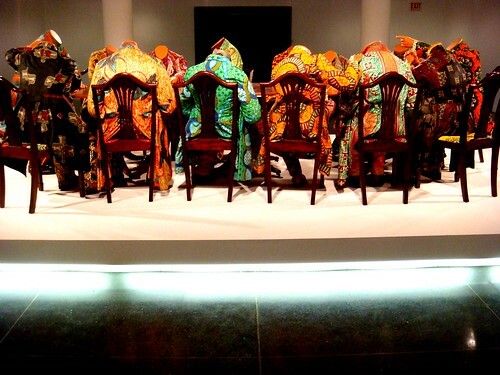 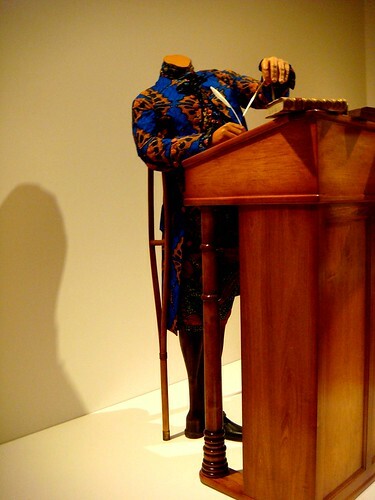 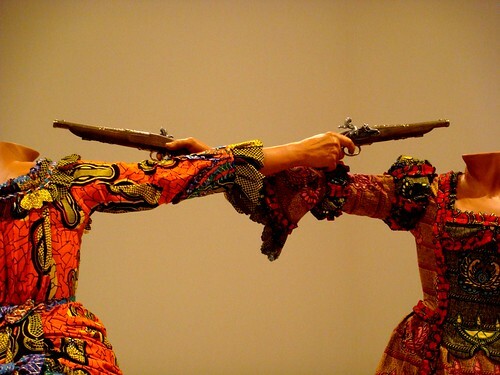 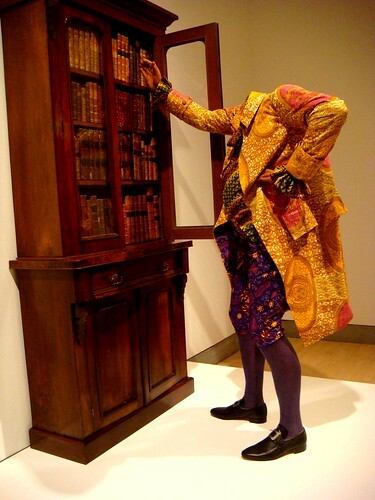 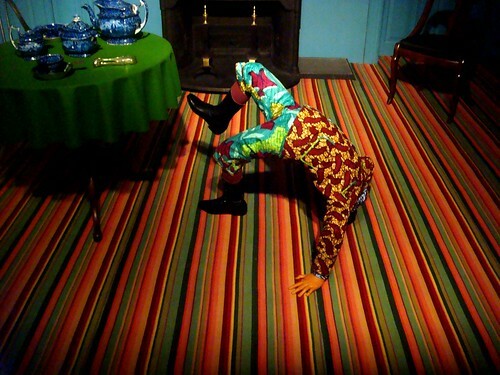 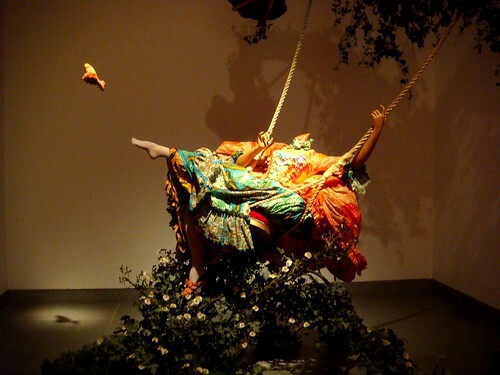 The Brooklyn Museum displays a survey of work by the UK-based Nigerian artist Yinka Shonibare MBE. 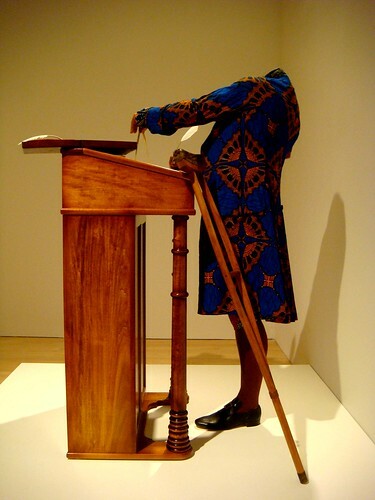 Shonibare’s artwork explores contemporary African identity and its relationship to European colonialism through painting, sculpture, installation, and moving image. 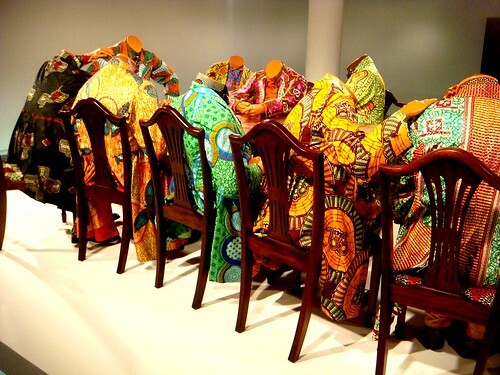 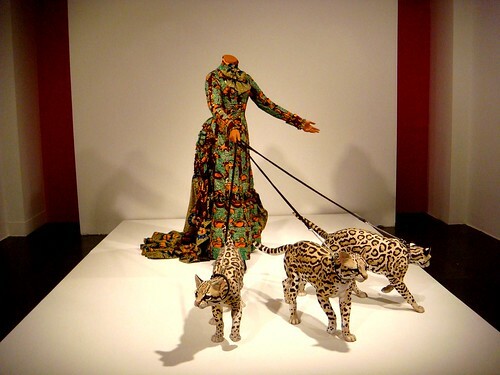 Shonibare is best known for his work with visual symbols, especially the richly patterned Dutch wax fabric produced in Europe for a West African market that he uses in a wide range of applications. 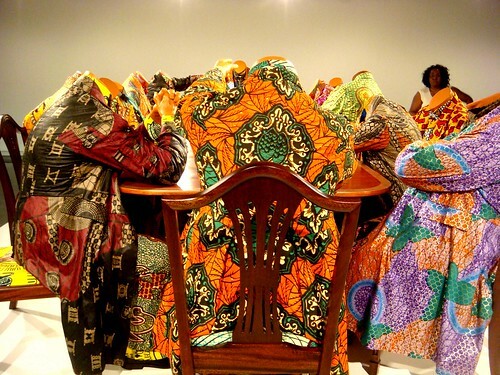 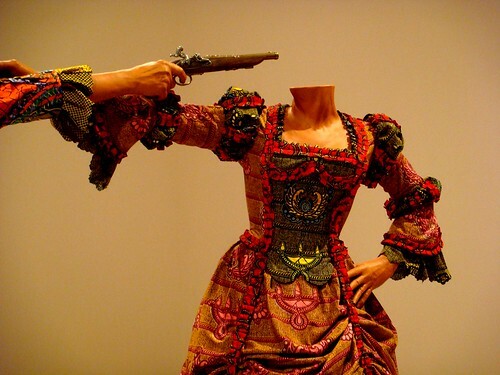 His tableaux of headless mannequins costumed in this fabric evoke themes of history and its legacy for future generations. 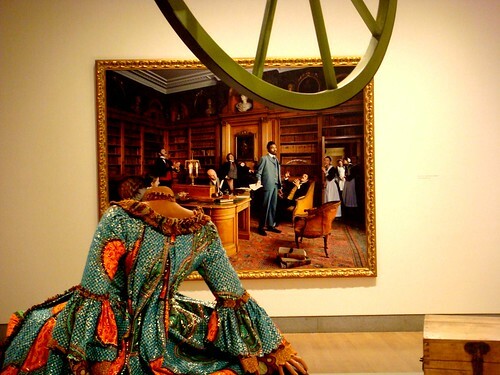 Through these works he explores the complex web of interactions, both economic and racial, that reveal inequalities between the dominant and colonized cultures of Europe, Asia, and Africa. 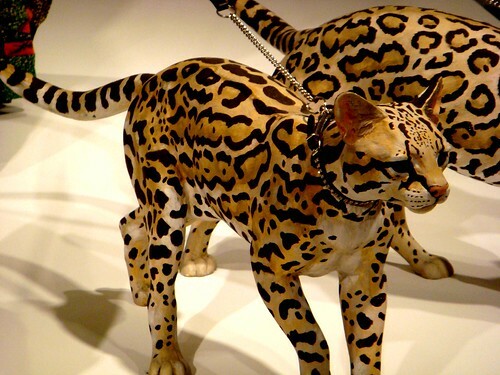 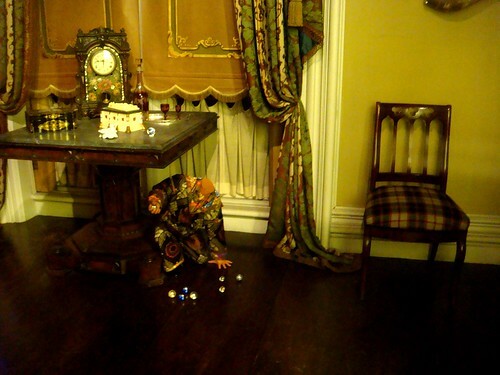 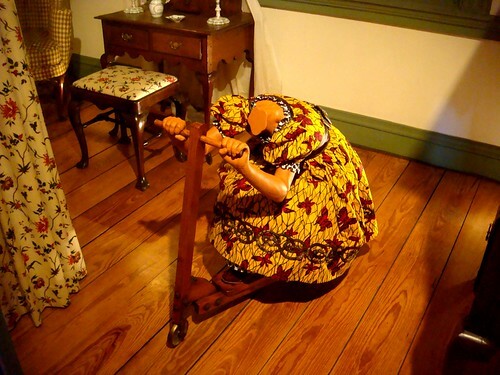 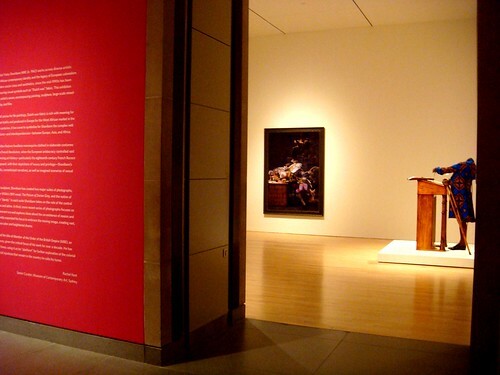 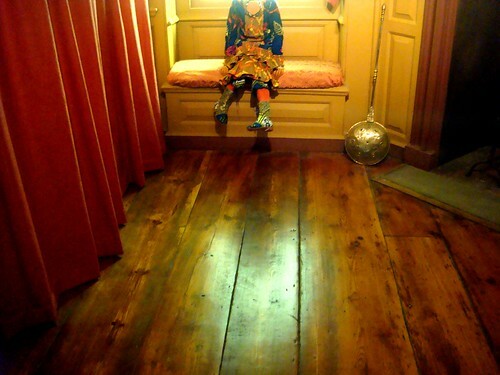 A site-specific installation created for this presentation titled Mother and Father Worked Hard So I Can Play is also on view in several of the Museum’s period rooms. 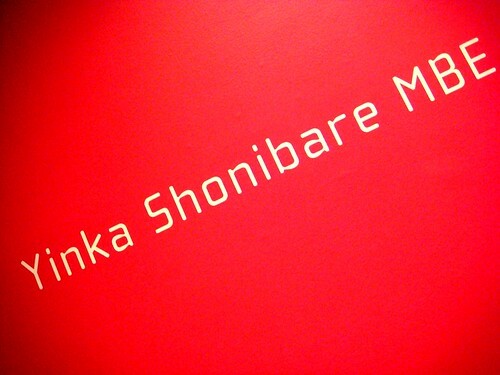 In 2005 Shonibare was awarded an MBE (Member of the Order of the British Empire), a distinction he uses despite and because of its irony.